Robin Houston is a retired parasitologist at the UC Davis School of Veterinary Medicine. 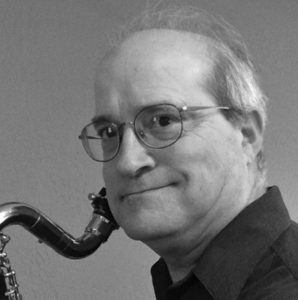 Initially trained by clarinetist Deborah Pittman, he performs regularly in several Sacramento area community orchestras, including the Auburn Symphony, Folsom Lake Symphony and Camellia Symphony. It was in the early 90’s (1990’s that is) that he gained an interest in “Early Music,” where the clarinet composition repertoire is distinctly lacking. (Did we tell you that the clarinet was only invented in the early 18th century?) He has attended numerous San Francisco Early Music Society and Amherst Early Music workshops, first on recorder, then on shawms and dulcians, plus Baroque bassoon and oboe in the last twenty years. Since then, he has been a member of Bay Area Renaissance wind bands Alta Sonora, Project Zefiro and La Marina. He lives comfortably in Davis with four well-behaved cats, more or less.